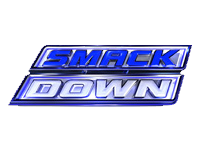 The 7th December 2012 episode of Friday Night SmackDown! starts with a video recapping the events of Monday Night Raw involving The Shield, The Miz, Kane, Daniel Bryan, CM Punk, and Ryback (click here for our Raw report), before we are told by the announcers that as a result of that, CM Punk will be in no condition to be able to defend the WWE Championship at the TLC Pay-Per-View. Ryback will instead face CM Punk for the WWE Championship on an episode of Monday Night Raw in the near future, and The Shield will face Ryback and “Team Hell No” Kane and Daniel Bryan at TLC in a Tables, Ladders, and Chairs match to be won by either pinfall or submission. After a video recapping the events involving The Big Show and Sheamus over the past couple of months, Booker T kicks off this episode of SmackDown! with a contract signing between Sheamus and The Big Show for their Chairs match set to take place at the TLC Pay-Per-View. He enacts a “no contact” clause, which he says is effective immediately and lasts until the match at TLC, but after both men have signed the contract, Show pushes the table into Sheamus, enraging him to perhaps defy the clause, but Booker tells Sheamus that he will be able to take his frustration out in a match with Alberto Del Rio, while The Big Show will be facing Daniel Bryan right now. The match sees Show get the victory, when he takes advantage of the distraction provided by The Shield making their way through the crowd, and hits Bryan with a chokeslam for the 3-count. Afterwards, Show leaves the ring and The Shield enter it to start attacking him. Kane’s pyro and entrance goes off, as he makes his way to the ring to help hit Tag Team partner out, but he too falls to the numbers game and ends up being sent through the announcer’s table with a powerbomb. After another segment where a fan fails to become Damien Sandow’s apprentice, The Miz’s music hits and he makes his way to the ring, where he mocks Sandow by claiming that Sandow wears his father’s bathrobe and buys his trunks from Victoria’s Secret, and then leaves again. Next up, Jimmy and Jey Uso, and “Funkasaurus” Brodus Clay (accompanied by Cameron and Naomi) take on “3MB” Heath Slater, Jinder Mahal, and Drew McIntyre in a Six-Man Tag Team match which sees McIntyre get the victory for his team, when he knocks Jey Uso off the top rope and follows it up with the Future-Shock DDT for the 3-count. After Matt Striker interviews Wade Barrett about his upcoming match with Randy Orton, and a video recapping The Shield’s attack of Randy Orton on Raw, Kofi Kingston joins commentary as Randy Orton is pitted against Wade Barrett in a match which sees Orton get the victory, when he takes advantage of the distraction provided by Kingston and hits Barrett with an RKO for the 3-count. Now, Hornswoggle and The Great Khali (accompanied by Natalya) go against Primo and Epico (accompanied by Rosa Mendes) in a Tag Team match which sees Hornswoggle get the victory for his team, when Khali hits Primo and Epico with a chop to the head, before tagging in Hornswoggle who follows it up with a Tadpole Splash for the 3-count. After a video of The Shield addressing their Tables, Ladders, and Chairs match set to take place at the TLC Pay-Per-View, Antonio Cesaro makes his way to the ring and talks trash about the USA and its people, until he is interrupted by R-Truth’s music hitting and him making his way out onto the stage. R-Truth says that Cesaro needs a dose of the truth, as he realised that Cesaro isn’t from the USA, as around there the truth shall set you free. He says that he sees hard-working people doing a lot and when the time is right, those same good people will kick trouble in it’s “Little Jimmy”. He says that it sounds like Cesaro is picking a fight with the USA, the USA fights back. The crowd starts a “USA” chant, as Cesaro says that Truth is everything that is wrong with the country, calling him delusional and having nothing to do with an imaginary friend, but rather everything to do with trying to take his United States Championship, and failing miserably as he claims all Americans do. R-Truth enters the ring and starts to attack Antonio Cesaro, prompting Cesaro to bail out as quickly as he can, leaving Truth standing tall in the ring, with the United States Championship at his feet. Next, Sheamus takes on Alberto Del Rio in a match which sees Sheamus get the victory, when he puts Del Rio in a Texas Cloverleaf, forcing him to tap out. Afterwards, The Big Show makes his way to the ring and attempts to goad Sheamus into defying the “no contact” clause. Sheamus outsmarts Show by grabbing the nearby Ricardo Rodriguez, and throwing him head-first into a below the belt shot at Show, that brings Show to his knees and then the ground due to the pain. Sheamus celebrates in the ring, as SmackDown! goes off the air.